Quick, grab-n-go, healthy breakfasts are hard to come by, amiright?? There are SO many tempting (unhealthy) options– muffins (aka cupcakes without frosting), cinnamon rolls, donuts, bagels…the list goes on! And don’t get me wrong, I LOVE a luscious breakfast treat every once in a while, but, what about for every day? That’s why I’ve been working on these, and I’m pumped to share them with you!! They pack a delishhh banana flavor, with a smooth creamy subtle peanut butter punch. They make a FAB quick breakfast, but I also find myself having them for an afternoon snack! Around 3pm, do you hit that wall where you need…*something*? Yes? I DEF do! And THAT is the time that I most often reach for whatever is convenient, and it’s not necessarily what I want or healthy at all! These mini muffins have just a hint of sweetness, plus the almond flour-peanut butter combo makes them oh-so-satisfying. Snacking cravings = satiated. Toss a few in a small container or ziploc bag. Take ’em to work. Bring ’em to the gym for pre or post workout noms. Bring ’em to the park. Put ’em in your kids’ lunch boxes. Share them with your friends. Whatever it is! Keep ’em on hand. BONUS! They’re conveniently gluten-free and dairy-free!! Because why the heck not? Ok, I’m HUNGRY! You? Let’s get baking! Peanut Butter Banana Mini Muffins! 1) Preheat your oven to 375 degrees F. Spray mini muffin pans with non-stick cooking spray or coconut oil. Set those aside for now. 2) In a medium-sized bowl, whisk together the egg, peanut butter, vanilla, mashed banana, coconut sugar, salt, and cinnamon. 3) Switch to a rubber spatula and gently fold in the almond flour and baking soda. 4) Now we’re ready for those muffin pans! 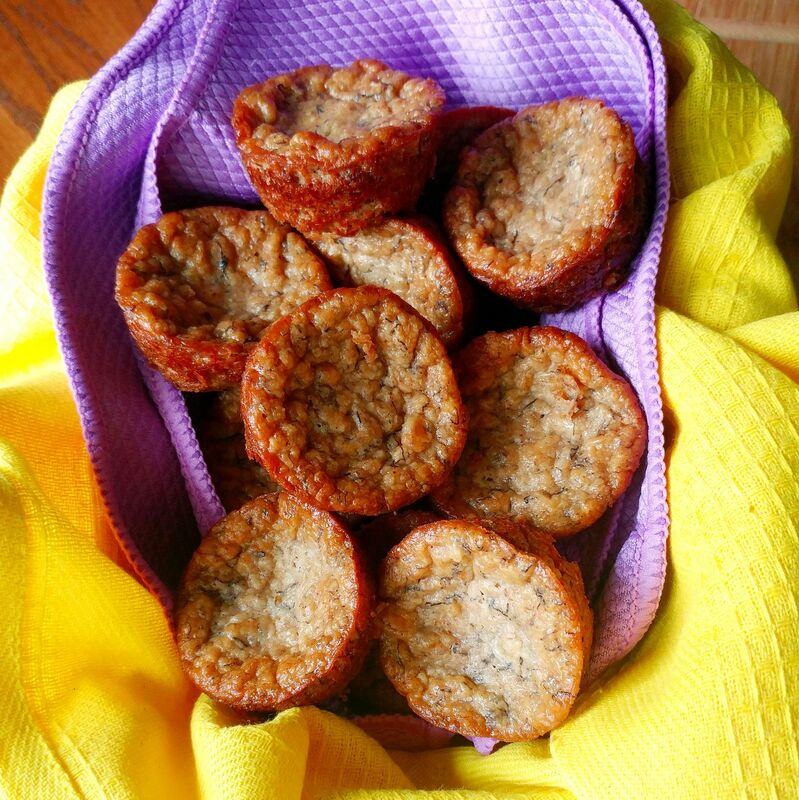 Using a large spoon or small cookie scoop, scoop the batter evenly into the muffin cups. 5) Bake them in your preheated oven for about 15 minutes or until they spring back when you lightly touch the top of one, and the edges are a light brown. If you’re saving some for later, allow them to cool completely and then store them in an airtight container.